There had been a lot of rumors of Modern Warfare 3 for weeks and now a report on Kotaku says that modern Warfare 3 will be released on Tuesday, November 8, 2011 for undisclosed platforms, though the PC, PlayStation 3, and Xbox 360 are likely suspects. Report says that the single-player campaign of the game will be divided among several characters, including a British SAS Operative, AC-130 gunship gunner, a tank driver, and a member of the Russian Federal Security Service, known by its acronym of the FSB. Also, the game would begin just where Modern Warfare 2 ended where United States faced a surprise attack from Russia. It is also being heard that Osama Bin Laden will be included in the game.Obviously Infinity Ward didn't go into details as to how accurate this information was, though Robert Bowling – Infinity Ward’s creative strategist did make mention of the leak on his Twitter account. A lot of hype & a lot of leaked info on #MW3, some still accurate, some not. To avoid spoiling the experience, I’d wait for the real reveal. As Call of duty has always been the best hit in multilayer gaming, Modern Warfare 3 will offer variety of new maps and for sure, some new game modes to make Modern warfare online hit all the way. 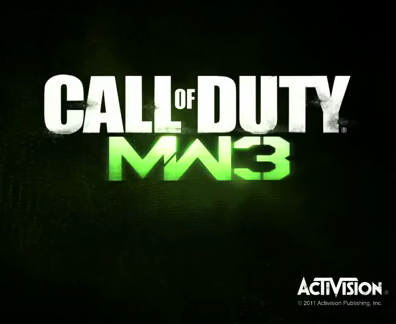 0 Respones to "Call of Duty: Modern Warfare 3 coming this 8th November, 2011"